Today’s the day! 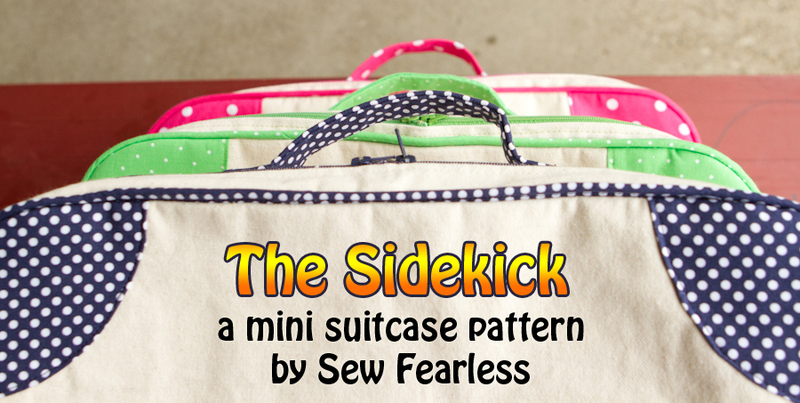 We begin the Sidekick Suitcase Sew-Along. Over the next four weeks, I will be walking through the pattern with you, giving tips, and answering questions. If all goes well, we will be able to finish up by the end of the month. Today, we will be printing off and prepping our pattern pieces. 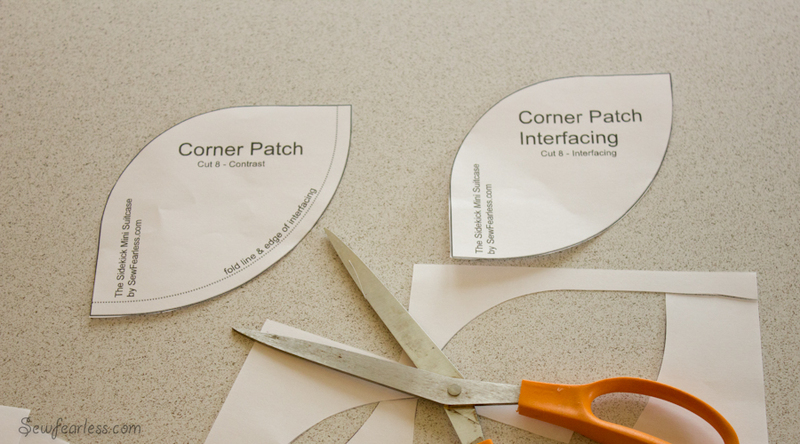 If you have a blog, you might want to grab a Sew-Along button. I hope you share pictures of your progress with all of us while you sew. Or download the button image below and link to http://sewfearless.com/category/sew-along-2/. Not feeling very fearless? Fake it. Own it. Become it. 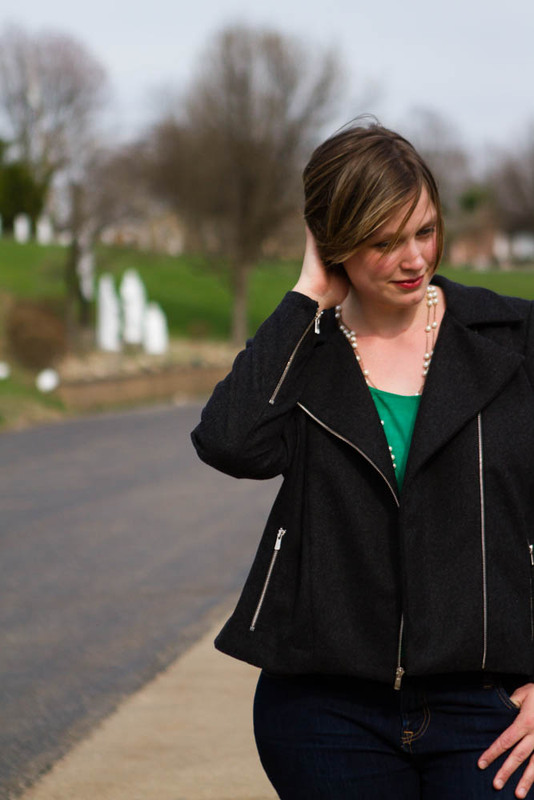 Do you think I named this blog Sew Fearless because I already was? You thought wrong. 🙂 Besides, if I am sewing a freaking suitcase, I can call myself fearless. And you can too. Are we ready? Here goes. 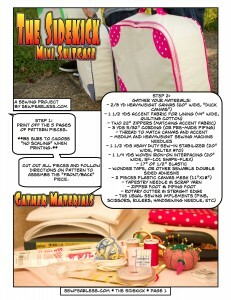 If you haven’t yet, you will need to buy and download the Sidekick Suitcase Pattern to your hard drive. It is a 22 page, 23 MB file. Yes, it is huge. but for good reason! There are photos of every step. I have a smaller lower-quality (11 MB, 150 DPI) file if you would prefer. Just send me a copy of your Paypal receipt and I can email it to you. 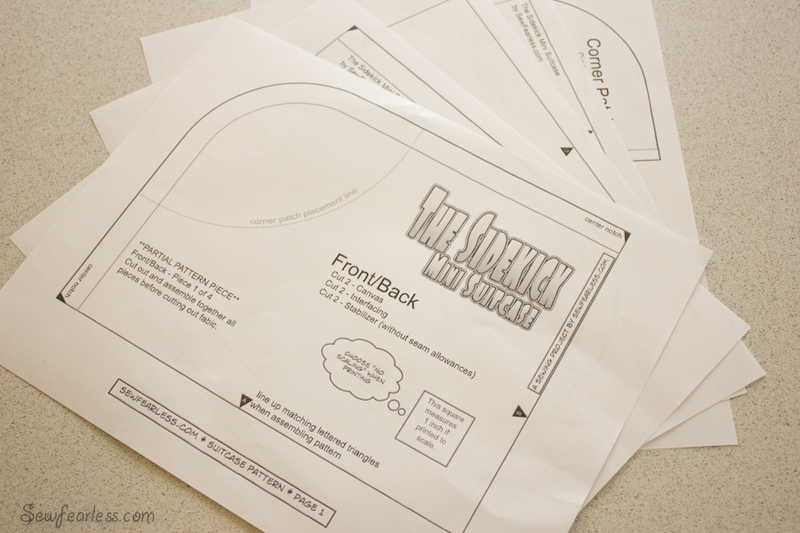 There are 5 pages of pattern pieces in the PDF pattern packet (whew. Say that 10 times fast!) found on pages 18 through 22. They can be be printed on US “letter sized” paper, or on European “A4”. 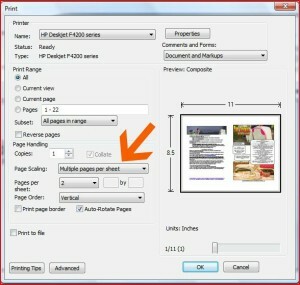 Open the file in Adobe Reader and choose “No scaling” and “Auto-rotate and center” from the print dialogue box. 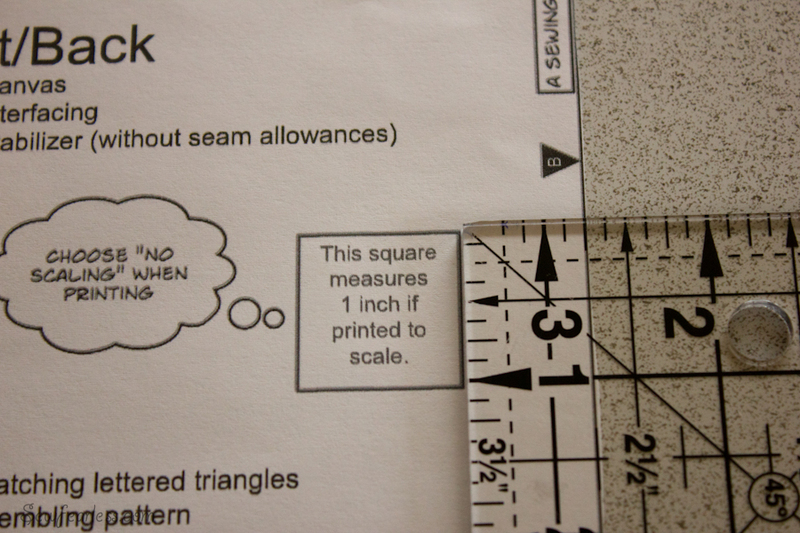 If they printed off correctly, the square on page 18 measures one inch. Now cut out all 6 of the pieces on those printed pages. The Front/Back pattern piece will have to be taped together before use. The partial pattern pieces fit together by matching up the lettered triangles. I like to leave a little bit of extra paper on some of the edges to overlap with. This is just my personal preference. When you get them all lined up, tape the pieces together. 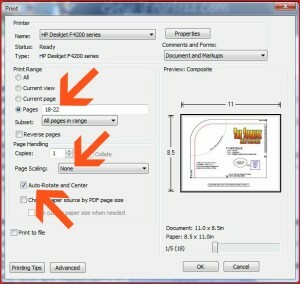 Patterns for the rectangular pieces are not included in the PDF file. 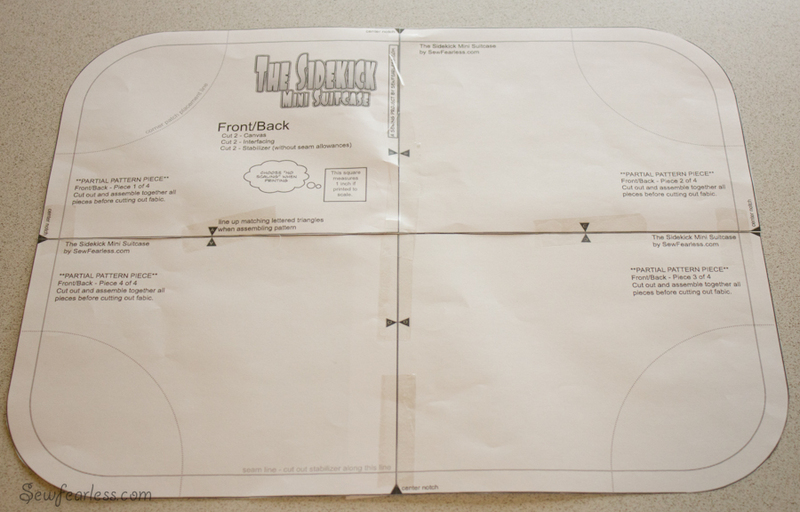 The dimensions are given on the cutting layout (page 3). I like to measure and cut out these pieces directly from the fabric. 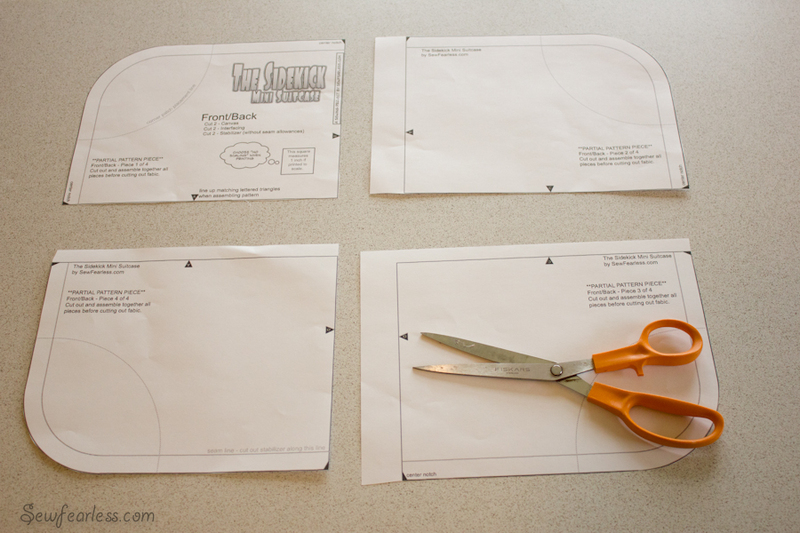 If you would prefer, you can draft your own rectangular pattern pieces based on the measurements given. Print off the directions (or not). 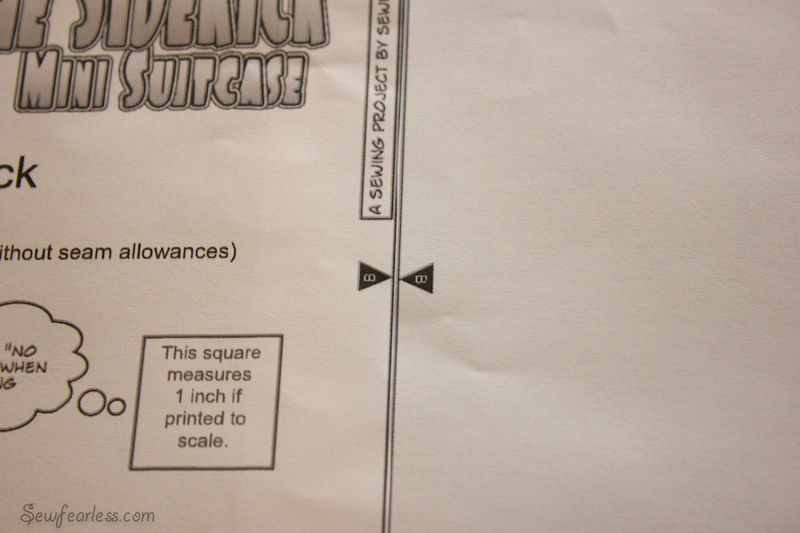 There are 16 color pages of directions for the suitcase (plus a cover sheet with additional information) found on pages 1 through 17 of the PDF file. 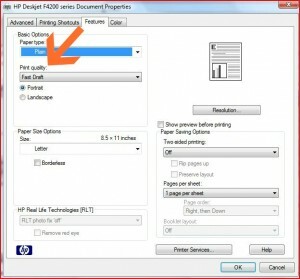 If saving ink is a concern for you and you have a laptop or tablet (or a computer in your sewing space), you can read the directions directly off the computer, no need to print at all! 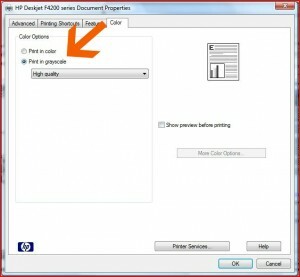 Most of you will want to print of the directions and there are a couple ink-saving tactics you can employ. All of them will make the pictures a little harder to see, but for most steps this won’t be too big of an issue. Print two pages on one. Not that you couldn’t just throw caution to the wind and laser printing the directions in full color onto high gloss paper to enjoy the color-tastic-ness of the directions. Whatever floats your boat, my friend. That’s all for today! I’ll be back on Wednesday to talk about the materials we need. Who’s sewing-along with me? Introduce yourself in the comments! woo hoooo!!!! I am PUMPED! ha. PS I’m ashamed/proud that I think I already have all of the materials in my stockpile. yikes. No shame. You rock. 🙂 I’m glad you are joining in. I had barely enough to print it off too! 🙂 It is this scary green color. I’m glad I don’t need to see my pictures. I’m in. My pattern is trimmed and I have my materials =) I’ll be out of town for spring break visiting my grandbabies so if I miss something the week of 10 – 17 I’ll just catch myself up. Super excited…never participated in a sew-along. I wish I was as fearless as you! I think this is a little advanced for me, but maybe I can do a sew-along in the future! What a monster of a project! Great tutorial. Check out mine at my site. I’m not sure what coupon code you are referring too? Maybe you are referring to one of the old coupon codes that ran during the release week of a new pattern? There aren’t any coupon codes currently. I’m sorry if there was something misleading. That was not my intention.